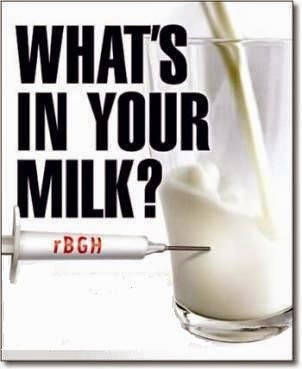 Dr. Christopher Bray MD PhD: After You Read This You'll Never Look At Milk The Same Way Again! After You Read This You'll Never Look At Milk The Same Way Again! "I believe that 100% grass-fed raw dairy is the best choice, if it's available to you locally. Raw dairy products are "alive" and have all of their probiotics, vitamins and enzymes intact, including phosphatase, which is necessary to properly absorb the calcium in milk. You can find sources for raw milk on the Real Milk website. If you can't get raw, look for the USDA organic symbol and grass-fed. If you don't have grass-fed, go at least certified organic. The best way to make sure that you are getting truly organic milk is to only buy directly from local dairies. It's important to get to know local dairy farmers in your area and ask them questions until you find a dairy that you trust. You can find local grass-fed dairies on the Eat Wild database (not all listed are organic)." "A recent study published in The BMJ adds to that theory, suggesting that milk consumption doesn't prevent fractures that are often linked to osteoporosis, a condition involving brittle bones that affects 40 million Americans. The results showed that drinking milk did not reduce bone fractures, and those who drank the most milk where likely to die younger than their counterparts"